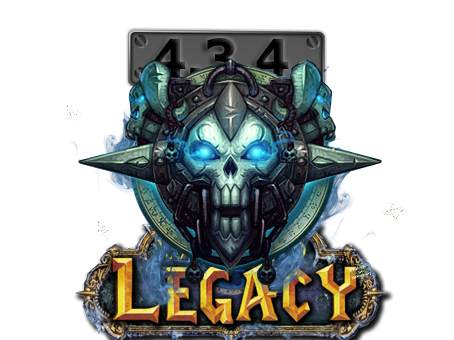 Welcome tho the Community forum Of LegacyWoW #1 private server 4.x.x. Dont have a Forum account yet? Register. Got a account Log in. LegacyWoW forum is official The new temporary official forums NOW! stay up to date For the last guild recruitments arena recruitments News and more. How to download free movies! 1. What is your main character's in-game name? 2. Where in the world are you located? 3. What time zone are you located in? 5. Have you played Retail and if so, for how long? 6. How long have you played on ZwowZ? 8. Have you ever been banned for any reason? - I have not been banned. 9. How much time each day do you spend on WoW, on the forums or in-game? 10. Do you have Skype? 11. Have you had previous experience as a Game Master? 12. Tell us a little about yourself. 13. Explain why you think you would be a good ZwowZ GM. 14. What interests you most about the GM position? - customize, help the players, fix bug, help community. 15. What positive additions could you (or do you already) make to the Server/Community? 16. We require all GM's to act professional at all times, this includes proper spelling and grammar. If this would be a problem for you, please explain why? 17. If you were going to submit a suggestion for us, what would it be? 18. Events can get out of control, how would you pull a situation under control if it went bad ? 19. What do you think is the most important thing a GM can do ?